FunScript v1.1b is out: 280+ #TypeScript 0.9 bindings on NuGet, better performance, reflection API and project template. 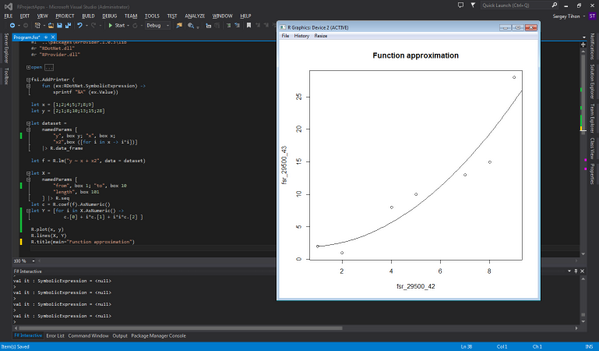 FShake – F# build tool from IntelliFactory. Taha Hachana shared “Navigation Within the Browser History“. New T-shirt in F# Fashion Collection by Robert Pickering. Octokit is now using FAKE for its build script. Michael Newton posted “To Infinity and Beyond“. Tomas Petricek blogged “Building great open-source libraries“. Scott Wlaschin wrote about “Working with non-monoids“. Mikael Helldén posted “ReSharper and F# project references“. Gustavo Guerra wrote “F# for Screen Scraping“. Michał Łusiak published “Progressive F# Tutorials in London“. ContingenciesOnline posted “A Sharp New Analytical Tool“. 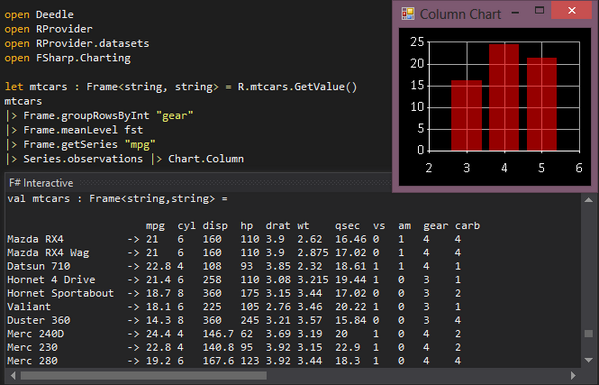 Natallie Baikevich blogged “Trying out Deedle with Bones and Regression“. Neil Danson wrote about “Desktop class performance on a mobile phone?“. Anthony Brown posted “Unable to copy file when compiling an F# project“. Annmarie Geddes Baribeau wrote “Discovering the Power of F#“.